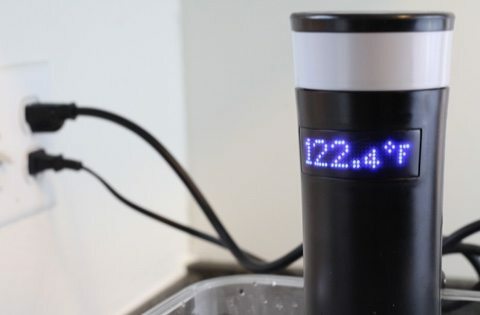 This ultra-quiet and uniquely-designed immersion circulator cooked a perfect pork chop. Yum! Results were excellent. 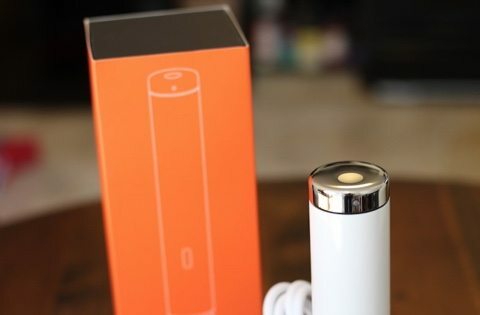 However, it did not live up to the Kickstarter hype, and was clearly outdone by competitors that have come into the space since the launch of this device. Still, it's a quality product worth investigating. 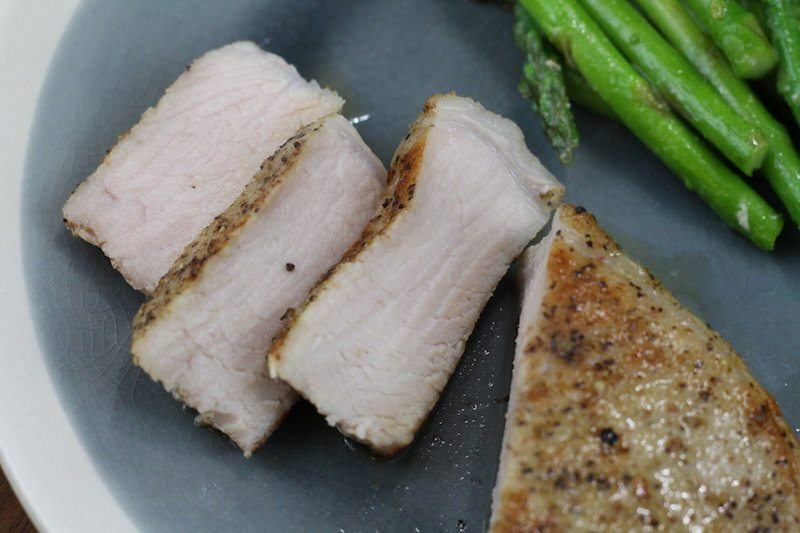 See where it succeeded and failed and what alternatives would be better for you based on what you expect from a sous vide cooking appliance. When Sansaire launched it's Kickstarter campaign, it raised over $800,000. That's 8x more than their $100,000 goal. It was clearly a popular and highly anticipated device. It's on the market now, and you can buy it from many different places online, including Amazon. There's also been a bunch of other new sous vide immersion circulators to come onto the market this year. 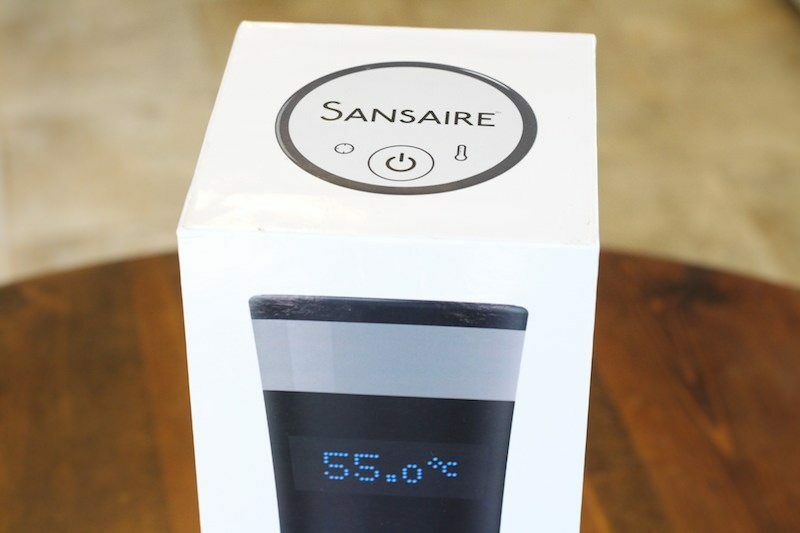 So how does the Sansaire Immersion circulator compete on the open market? You'll find out in my in-depth review and comparison. There are some clear advantages to Sansaire of other brands of sous vide cookers, but also some serious negatives worth considering. While I think some of you would probably prefer this device over others, honestly, it was not my favorite. I tested 11 different circulators in total over the past few months, and while the Sansaire would rank in the Top 5, it would not be in my Top 3 picks. Keep reading to see what the strongpoints of this immersion circulator, as well as where it disappointed. Plus, of course I'll list some alternatives and let you know which brand was my clear favorite of the bunch. 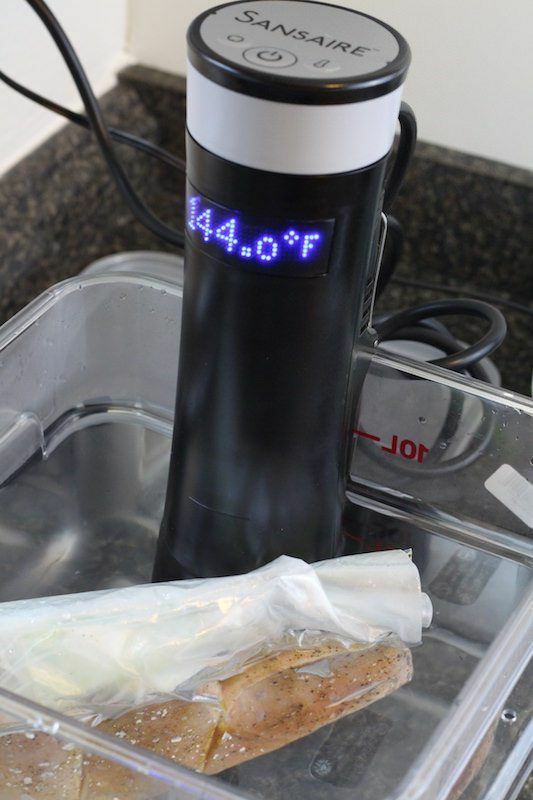 If you're familiar with sous vide, then you'll know what the Sansaire can do. It heats water to a certain temperature and keeps that water at that temperature to cook your food thoroughly, safely, and to a specific doneness. This prevents overcooking, undercooking, and loss of flavor. Unfortunately, the Sansaire is missing many of the cool features that other, newer products have. For example, it doesn't connect to wifi or bluetooth connections! In fact, it doesn't even have a programmable timer. This was a huge oversight by the team behind this product. It really should have a way to set a predetermined amount of time so you can “set and forget”. Actually, the Sansaire doesn't tell you when you reached the predetermined time, nor does it tell you when it's finished cooking. This means you need to take care of all those things manually. It's easy enough with a smartphone timer that must of us have, but c'mon guys! Even very basic immersion circulators like the GSV130 from a few years back do these things. There are three buttons on top of the device that are used to operate it. One button to turn the device on, one to switch between Fahrenheit and Celsius, and one to set your target temperature. The buttons were kind of a waste in my opinion. I don't need Cº vs Fº as “main feature” of my device. Set it once, then it's done. I'm not going to change my unit of measurement so much that I need a button featured so prominently on top. Though there was a long list of things I wish the Sansaire could do, there were a few things that are quite unique about it. First off, the display is very cool. The blue-lit dots give it a digital-clock feel that's fun to look at. Too bad they don't make the green version from the original Kickstarter backers available! They could easily give us a range of colors to make operating the Sansaire more fun and customizable. One very interesting feature is that the temperature setting is done with a free-spinning band on top of the device. It's interesting, but I found that it takes a while to scroll all the way up to a target temperature, especially if it's in the 150ºF range like for chicken. There is an app, but it's only used as a temperature guide and does not connect to this version of Sansaire. They do have a new product coming out, but not for another year or so. The app is interesting, and can be useful as a guide. In fact, as far as temperature guides go, it's quite colorful and and easy to use. Joule also has another cool app, which I prefer. It's free to use, and better than Sansaire's for normal types of food like eggs, beef, and chicken – you know, the stuff we normally eat. 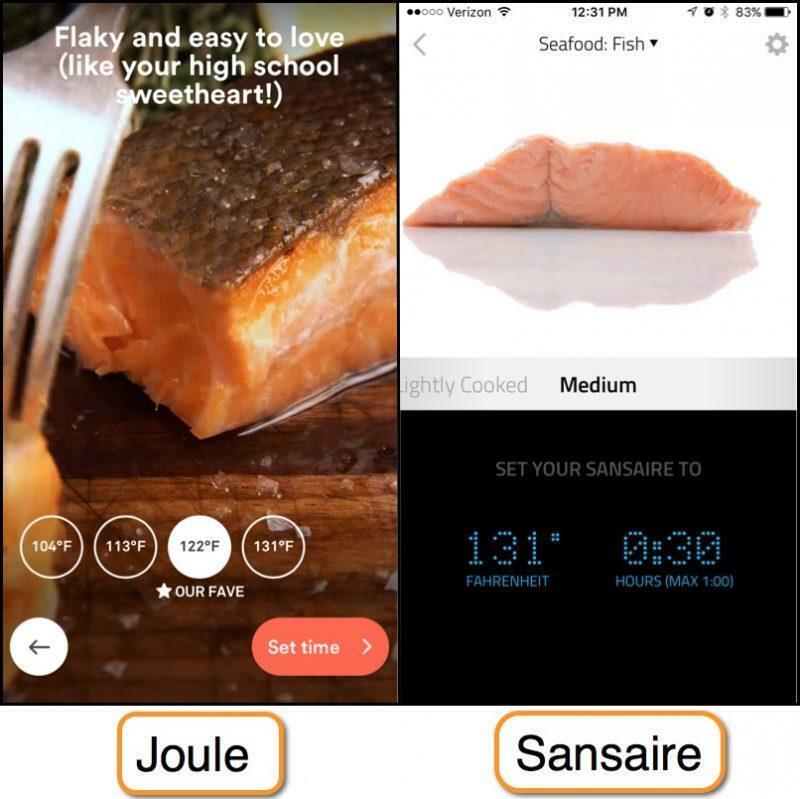 Where the Sansaire's app shines though is that it includes other, lesser known foods and more specific types of foods. For example, under Beef, you can choose tender or tough cuts of meat. With Joule, you only get a few options of what to choose. I cooked some salmon today. Which one looks more appetizing? It doesn't include specific types of seafood you see listed above as well, which Sansaire does. Seafood is the most important to get right in my opinion, since it's super important to cook to a safe temperature, but it's also the most delicate meat! I could see an immersion circulator being extremely useful for something like scallops. One feature that's really interesting, and perhaps the most “useful” is that it has a flat, wide bottom. This means that it can sit centered in your water bath without falling over. It does have a side clip to lock onto the side of a water vessel as well. The Joule can sit centered in most pots as well, but works best in metal containers since its magnetic. This wide bottom becomes very useful if you are heating a large bath an want to put the Sansaire in the middle for more accurate temperature control. For example, if you are cooking a bunch of ribs in an ice chest for the upcoming weekend barbecue. You'll need enough meat for everyone, since ribs go fast. The 3GPM pump can handle up to 22 gallons of water which is simply the highest water capacity of any device I've tested. I was very excited to try the Sansaire because of all the Kickstarter hype. I was surprised at how big it was compared to other immersion circulators! I decided to cook some extra thick pork chops! Pork chops have always been hard for me to cook properly because they always turn out hard and tough. I am always concerned about cooking them thoroughly, so I tend to overcook them. Using an immersion circulator means I don't have to worry about undercooked meat. With just a few seconds in the pan to sear, they turned out delicious and juicy. They were simply the best pork shops I ever made and they were so simple! In the picture below, those white things are not potatoes, they are “elephant garlic” cloves. Have you heard of that before? My grandfather grows them. They are much larger, but much less potent than regular garlic. I like to sauté them and eat them like a veggie with my meats. It adds flavor to the meat but they are also tasty by themselves. I just don't kiss my girlfriend after eating them LOL. You can see below that the juices are shining in the meat, and there's no pink or underdone spots despite being so darn thick! Now all I need to do is find some heirloom pork in my local area. I read an article about how much more flavorful it is than the regular white meat stuff. Anyway, the Sansaire cooked excellently. The water temperature remained stable and accurate, and cooked meat as I expected. Something I notice while cooking is that even though the pump speed is 3 gallons per minute, which is quite strong compared to other sous vide immersion circulators, it was very quiet. There was a bit of differences between what stats were listed on the Sansaire website and what was listed on the Amazon listing. The website lists the power as 1100 watts and 4 x 4 x 15 in, while the Amazon listing says 15½ x 5 and 1000 watts. I'll continue to review and compare this device based on the Amazon listing because that's where I bought it from. Perhaps the information on the Sansaire website is more updated, but we are currently unable to order it from their website. 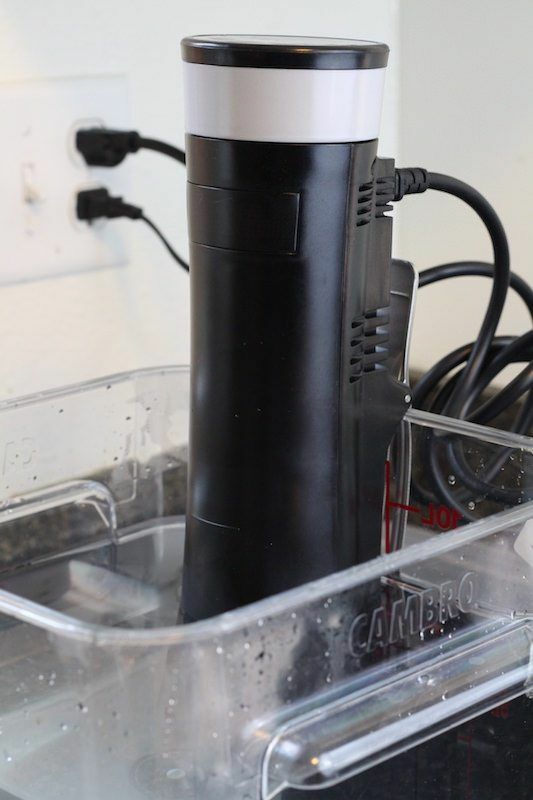 In plain English, the Sansaire is quite a strong immersion circulator, and moves a lot of water to keep large amounts of liquid at a stable temperature. It can keep a whopping 22 gallons of water at a stable temperature around 152 degrees. For reference, you can cook a steak at 133ºF for medium rare, and chicken breasts at 149ºF. 22 gallons is HUGE compared to other devices which top out at 10 gallons, but prefer around 5. It's really big though, being both taller, wider, and heavier than other unites. In fact, it's about 4x heavier than the Joule! This is the most interesting part of the review for me because it shows the strengths and weaknesses of each product. As mentioned above, the Sansaire is very big. It's tall, fat, and heavy. It weights six pounds and is 15.5 inches tall. 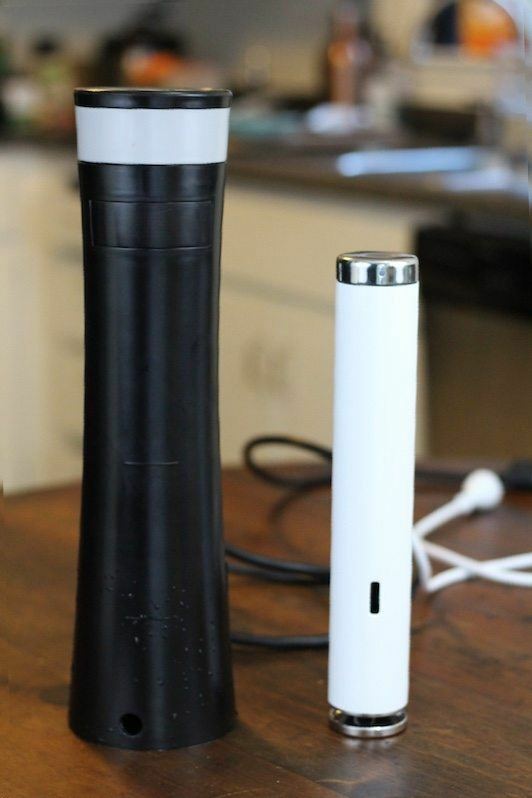 In comparison, the ChefSteps Joule is 1.3 pounds and 11 inches tall. However, the Joule maxes out at 10 gallons of water capacity. The Gourmia GSV150 (newest model) can also handle a 10-gallon capacity, but only circulates 1.5 GPM. The Sansaire rocks this category with a 22 gallon capacity at 152º and 3 gallon per minute circulation. That translates to cooking more food at once. It's also shockingly quiet! Other devices are also quiet, but for being powerful, you won't notice any increase in volume. The Gourmia products, which tend to be less expensive are quite loud! However, it's missing wifi and a few other basic features like a countdown timer. Despite missing those basic features, it's not selling at any kind of discount. Sure, it's a lot cheaper than a full-blown “water oven” which can cost $800+, and it's still cheaper than many other immersion circulators which can cost close to a grand. But considering you can get a basic immersion circulator like the GSV130 for half the price of the Sansaire, you really need to use the high capacity cooking to make it worth the cost. 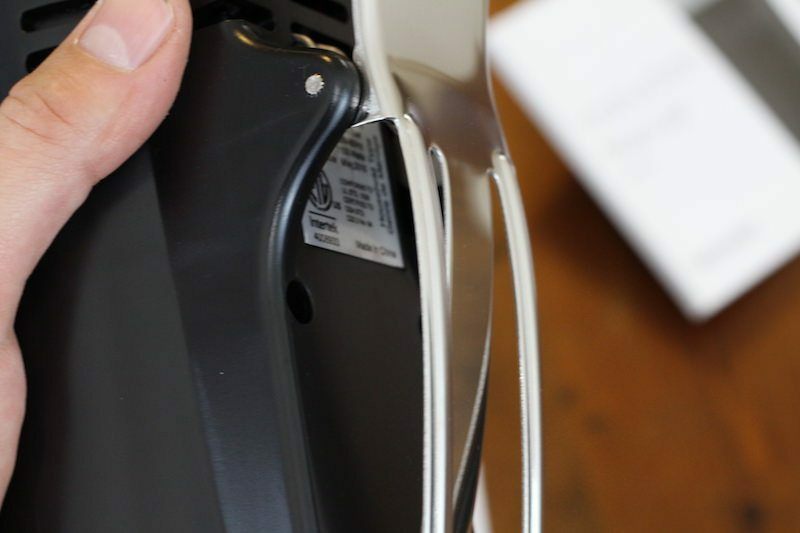 The fact that the main complaints about this device is that it breaks in a short period of time and customer service is very hard to get a hold of makes it even heard to pay a premium price for this device. In terms of construction quality, it's also lacking. It feels like plastic. The temperature setting dial feels especially cheap. In contrast, the Anova Precision Cooker has a beautiful, satin-matte-black finish that feels wonderful to the touch. It also has a touchscreen digital display that's very modern-looking. One big complaint I have about this product however is that the side clip is basically useless. It has no strength to it! The device is clearly meant to sit on the bottom of the pot, and the clip was an afterthought. The Anova has an adjustable-heigh clip that will be useful for smaller vessels, and the Joule has a very small minimum water capacity of 1.5 inches. See both individual reviews for details on those particular features. Oh, and one last thing worth mentioning is that the Sansaire has an extra long cord. It's about six feet long. In contrast. the Joule has a 3.5 foot cord and the Gourmia has a 5 foot cord. 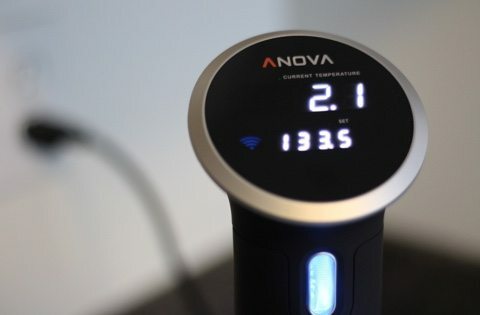 The Anova has the shortest with a tiny 2.5 foot cord! Depending on whether you plan on cooking in the kitchen or in the corner of a room somewhere, the cord length may be important! Who Is The Sansaire Immersion Circulator Best For? If you are going to cook food in batches, like meal planning, or for events, or for a large family, then you will want the higher volume capacity of the Sansaire. It heats water quickly, holds a lot of water to a stable temperature compared to other brands, and will fit in a variety vessels, both large and small. However, it's quite large, and you can buy much more compact devices for the exact same price. If you are cooking for small groups people most of the time, or especially for those cooking for 1-2 people, you do not need such a large device. 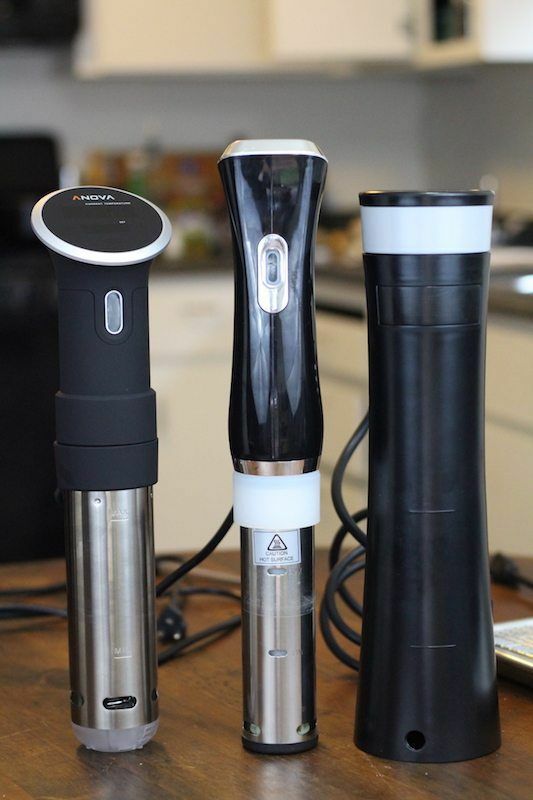 You'll be better off with the Joule, which is my favorite immersion circulator of the eleven devices I tested. ==> Get The Sansaire Here! The Sansaire was a good device in a category where there are simply amazing products to compete with. It was good, but there's better out there based on what I look for in an immersion circulator. If you buy this one, you'll get your money's worth, for sure. 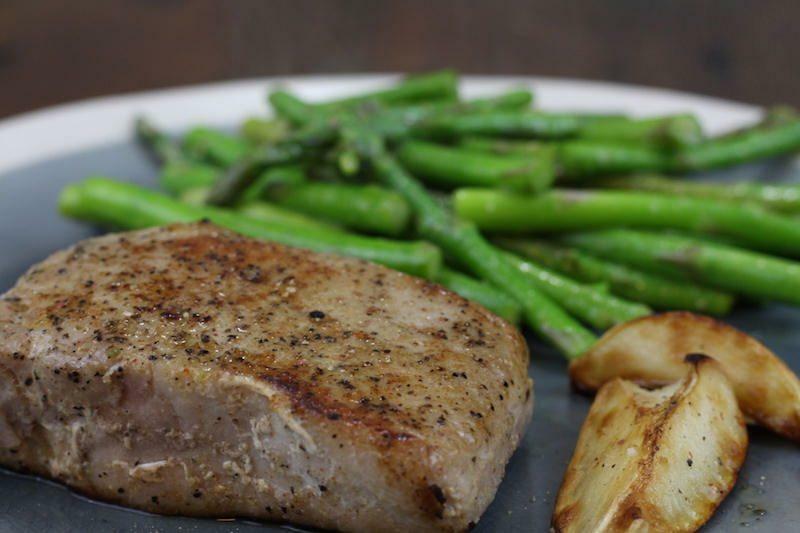 Sous vide is simply an tasty, fun way to cook food. However, I think you'd do better to read a few more reviews before committing. Also, keep in mind that Sansaire has a new device coming out some time in 2017 called the Delta, which is smaller, connects to wifi, and is an all-around upgrade. With a new version on the way in the next year, I think you should seriously consider the possibility that they'll ditch developing the old version. Their target launch date is in July, but Kickstarter stuff is almost always late. I waited 3 years for a special credit card called “coin” once and it was basically obsolete by the time it arrived in my mailbox. I wouldn't hold your breath for the Sansaire Delta if you really want to start cooking sous vide this week. 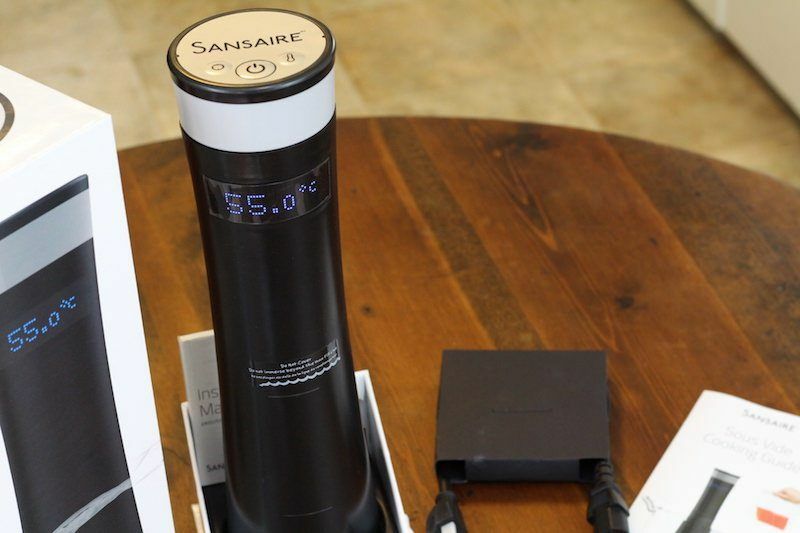 ==> Get The Sansaire Immersion Circulator Here! You'll notice in the video the guy has the cool Kickstarter green version!